The exciting thing about working in SEO is that every single week, you wake up to a new industry. Changes come fast and furious and what worked last month is old and stale in this one. This is an industry that prides itself on its ability to keep moving forward, forging new paths and taking new chances. Looking back, however, occasionally has its merits. How often are we faced with saying that some development “looks like Altavista” or “Yahoo! 2001” (I’m looking at you, Google Instant.) Like any evolution, it is in looking back that we are able to find mistakes and avoid them as we move forward. And how far we’ve come! 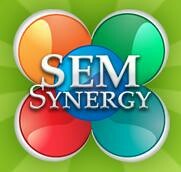 This week’s SEM Synergy show revisited two of our Greatest Hits interviews – Matt Cutts in December 2008 and Bradley Leese in July 2010. Both spoke, in different ways, on the subject of the future of search and the search industry. Matt spoke about freshness, the rise of mobile and the (then) upcoming crackdown on paid search. Bradley covered Caffeine and Mayday and how those would affect search engine optimization in the long run. The retrospective came on as SMX East wrapped up in New York City and it’s easy to see from looking over the liveblog coverage that the topics remain just as relevant today as they were months and years ago. Some statements that were controversial at the time (Ranking is dead!) are now just accepted (mostly) as written – ranking is just one of many factors to judge SEO success, traffic is king, conversion matters. Give today’s show from yesterday a listen, and let us know what Matt got most wrong. It was two years ago, after all. No one’s crystal ball is perfect. I think that’s part of the beauty of SEO. Nothing ever really falls off the map, we just add in more and more elements so that each individual piece becomes less important and more “small stuff” as time goes on. SEO is like a puzzle that continually adds pieces to itself. In 2007, we weren’t dealing with this scale of personalization, freshness, “real-time” emphasis or localization. It’s one of the reasons that we tend to sweat the small stuff. Yes, there’s an 80/20 rule involved but 80% of 100 elements and 80% of a 1000 elements is very different. Sometimes I think things move fast, other times I feel like we are doing the same SEO stuff we did two years ago… I agree traffic is kind, and conversion definitely matters. It’s really hard to point to one thing and say “that’s the secret.” It’s really a combination of all of the above. Yes, ranking still matter. Links too, of course… But isn’t that the same stuff we were chasing in 2007?